Read 2 times. Last read April 8, 2019. This book had everything to keep the reader interested! You had the suspense of what was going on and why the police barged in on Andi when she was bathing her dog. You had the undeniable attraction between Andi and Nick. You had Nick's heartbreaking past. And you had a side romance between some of the other characters. I found it hard to put this book down and it's been awhile since I've felt that way! 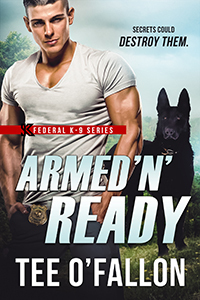 Sign into Goodreads to see if any of your friends have read Armed 'N' Ready.